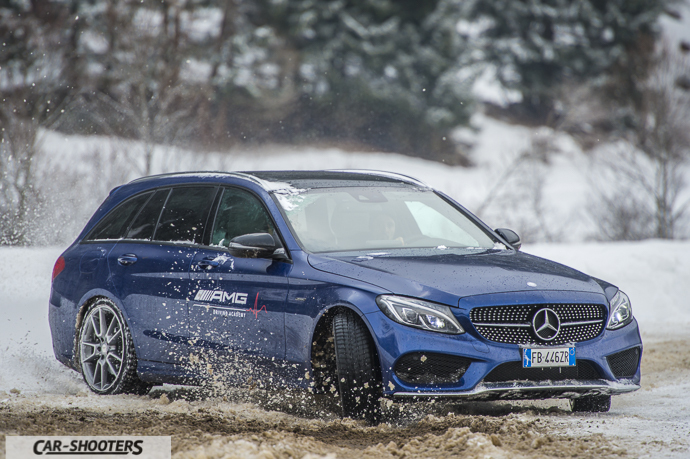 Let’s understand together why Mercedes-Benz consider so important the all wheel drive 4MATIC technology enough to introduce it in more than 20 ranges, 80 models and 257 versions; staggering numbers for a really interesting technical solution. 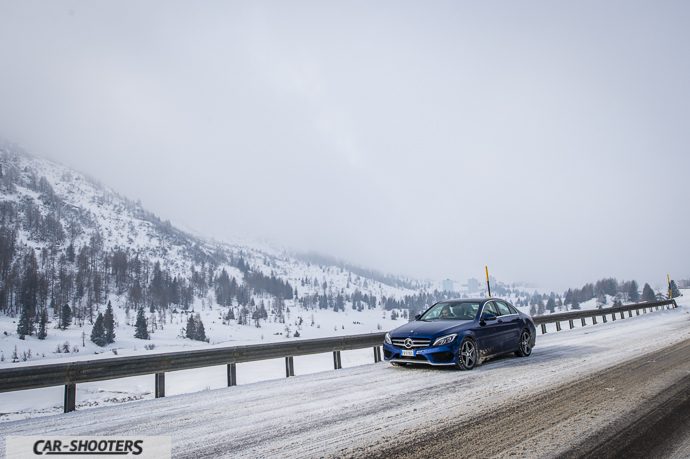 The first important concept is the functioning of the vehicle dynamics managment in case of a loss of grip, as can happen when driving on snow or ice. The 4ETS Mercedes-Benz technology, using the same ABS / ESP sensors constantly monitors the performance of the 4 wheels being able to distinguish a good behavior from a possible slip. If the system detects a loss of grip of one or more wheels it sends to them braking pulses (simulating the the front, middle or rear differential locks), and moves the traction towards the tires that have grip; giving priority to traction at low speed and driving stability with the increasing of performances. All this happens in real-time without any driver intervention. 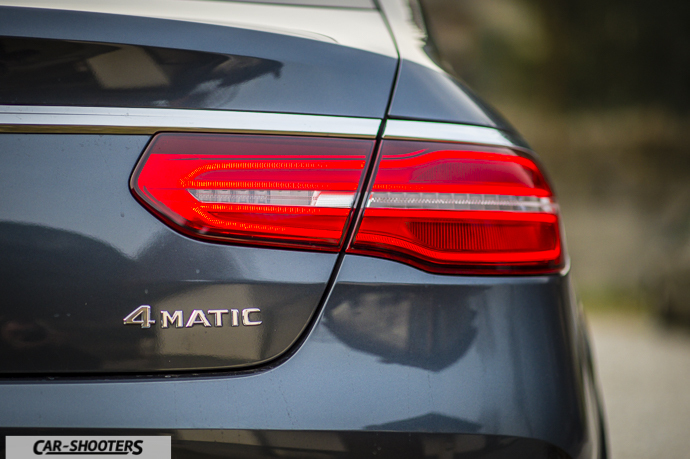 The second important point behind the work on the Mercedes-Benz 4MATIC all-wheel drive are all the solutions that have led to a lowering of the weight, increase mechanical efficiency, lower noise and vibration. What does it mean? Compared to a front wheel drive car, rear-wheel drive cars have an high numerosity of components dedicated to the distribution of the torque generated by the engine to the wheels that implies an increase of the total weight and a decrease of the mechanical efficiency. Each component in more that is interposed between the engine and wheels causes a loss of mechanical energy, this is why the transverse motor combined with a front wheel drive are usually more efficient than a four-wheel drive. In this regard, the Mercedes-Benz’s engeneers have developed a number of solutions regarding the integration of the transfer case in the automatic double clutch transmission; the transmission shaft decoupled and the use of oblique teeth gears able to achieve important advantages such as a significant reduction of the weight, better mechanical efficiency and reducing the vibration transmitted to the passenger which results in a much quiet drive. 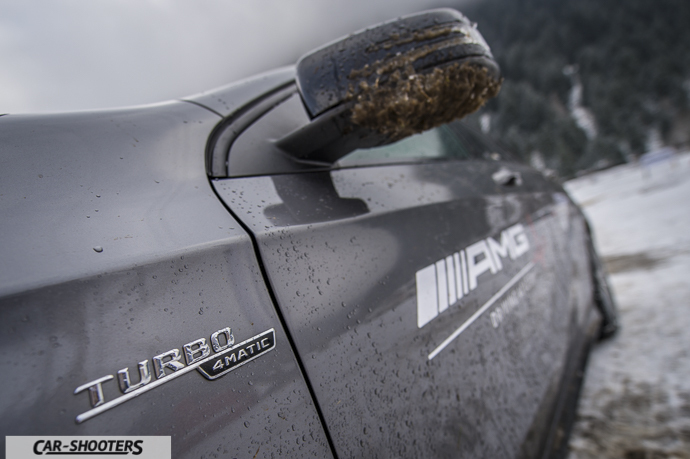 It did not end here, in fact, those who decide to equip their Mercedes Benz with the 4MATIC four-wheel drive will not find a car with different dynamic features than the standard version. 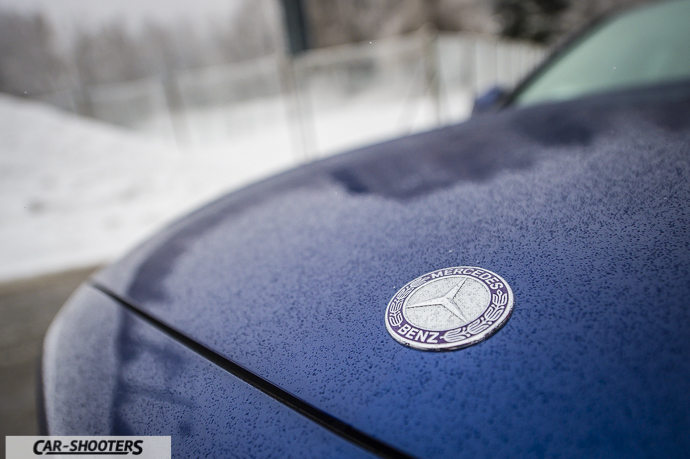 In fact, different solutions have been developed for each vehicle in the Mercedes-Benz range. 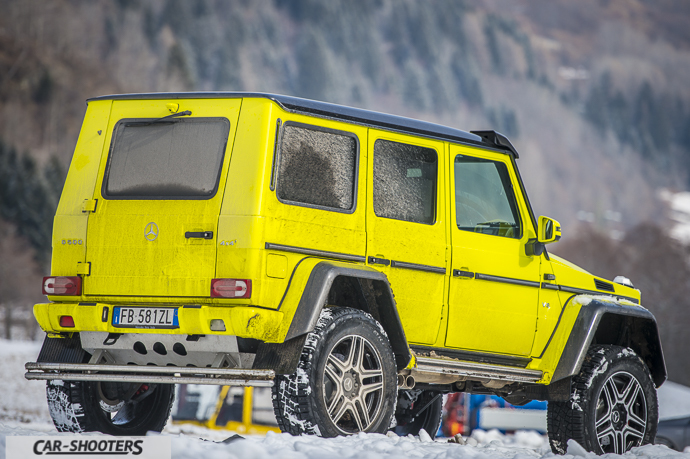 Starting from the G-Class, off-road vehicle by definition by many years, the all wheel drive of this vehicle has of 50:50 torque distribution, the possibility to block all 3 three differentials to 100% and the presence of reduced gears. In the SUVs you will find a 55 to 50 torque distribution and the possibility to equip the car with off-road Technology package that, if necessary, engage an off-road reduced gear, or the center differential lock to overcome the most difficult routes. Regarding the rear-wheel drive cars to four-wheel drive in the torque distribution becomes 45:55 while leaving unchanged overall dimensions and consumptions. For compact cars the solution found is even more revolutionary. The motor remains in a transverse position and traction remains at 100% front in normal driving. When situation of loss of traction is present the 4ETS system, will send power to the rear wheels through a Power Take-Off Unit which, through a multi-plate clutch, manages the flow of power to the rear axle. In this way, the traction is distributed to the front and rear axles depending on the need, instead remaining only in front in normal conditions. This means having a car with the consumption of a FWD vehicle but with the security of a very high level 4×4 system. Lots of features for a single technology. What are the benefits for the driver? 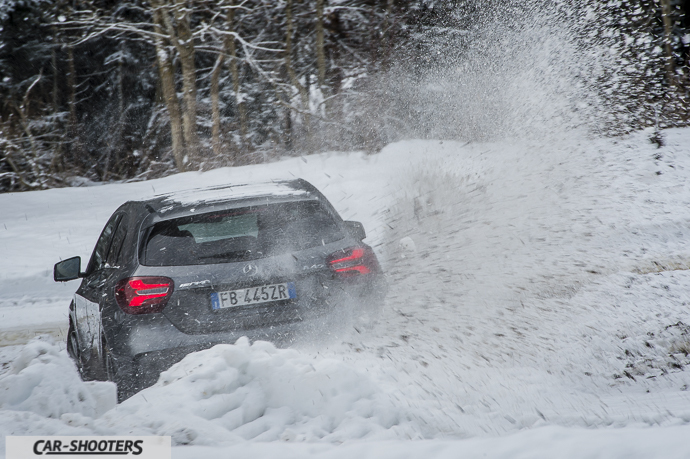 Who will drive a Mercedes-Benz 4MATIC all-wheel drive will have a car with predictable behaviour in all driving conditions ready to respond to any problems the road can hide. All this means safety and when the vehicle can give you that confidence fun and the pleasure of driving increase. L'articolo Mercedes-Benz 4MATIC sembra essere il primo su Car - Shooters.